To secure our Romance Package, please select a room, suite or cottage first, then select the add-on option for the package during the booking process. Once you are in the booking process, you may add-on the romance package to get the discounted room rate with extra amenities. The package includes a single night discounted rate, with a discount available for additional nights upon request. The package also features sparkling cider, two wine flutes, local gourmet chocolates, and certificates to local fine restaurants including Gogi’s, The Schoolhaus Brewhaus and Bella Union for dinner ($50) and breakfast ($10). All of the suites offer a fireplace. The Library Suite has a bubbling soaking tub for one, the Kaizen Suite has a Jacuzzi tub for two. Our cottages, 2 blocks away off the main street, offer a quieter private retreat in the heart of Historic Jacksonville. You may also select one of our king or queen guest rooms for this package. All rooms/suites/cottages have the amenities you’d expect, flat screen TV, coffeepot, iron & ironing board, free wi-fi, free parking, private bathroom and more. To select this package, please select a room, suite or cottage first, then select the add-on option for the package during the booking process. “When we walked in to the room, we knew we’d never want to leave. The Kaizen suite had all the ingredients to the perfect romantic getaway. The amazing canopy bed looked directly at a fireplace – a big priority to me. The beautiful French doors lead out to a very private patio with lots of sun light and room for two. The bathroom is where our jaws dropped. Yes, the bathroom. It really feels like 3 rooms in there – the large whirlpool tub is obscured from the main room, but we could easily talk while the other soaked. We could both soak at the same time, but we wanted to really spread out and take it all in. The bathroom had a lot of natural light through a tub-to-ceiling window to the private balcony. Of course there were blinds we could lower – but why when privacy was so complete, and the light was so warming? He loved the shower – the HUGE walk in shower, where we both had plenty of room to stretch out at the same time. There was a separate water-closet for the parts of a restroom I think we all like to keep totally private. 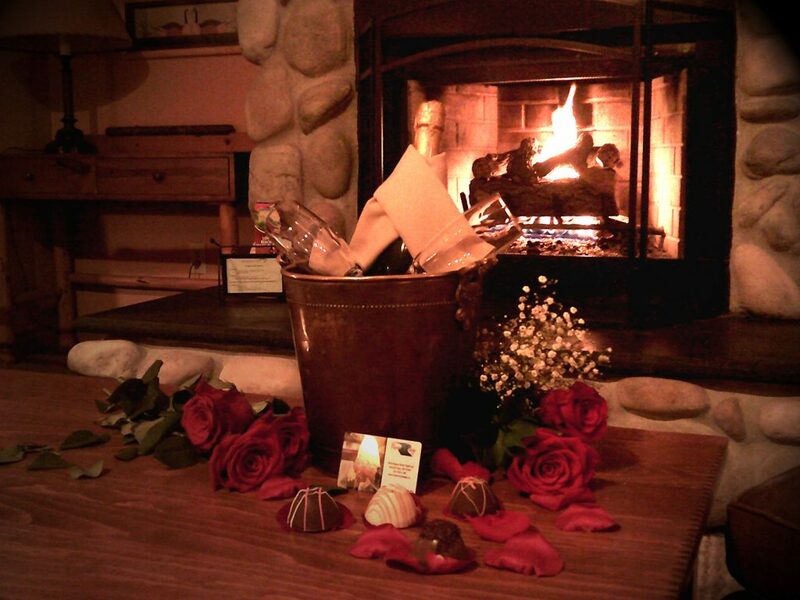 Added to this perfect room, we had selected the romance package. Once we ventured out of our perfect room, we walked the trails through the Britt gardens and the Jacksonville Woodlands & Arboretum. Tired from the hike we had a blast of giggles and fun riding a segway through downtown Jacksonville through Segway of Jacksonville. It felt funny at first riding these personal transportation devices, but within moments we were sure of our balance and having a lot of fun scooting through the town.